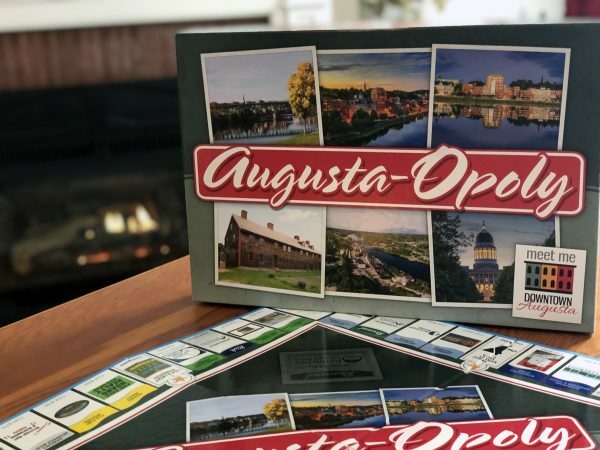 This is your chance to take a little bit of Augusta’s charm home with you. 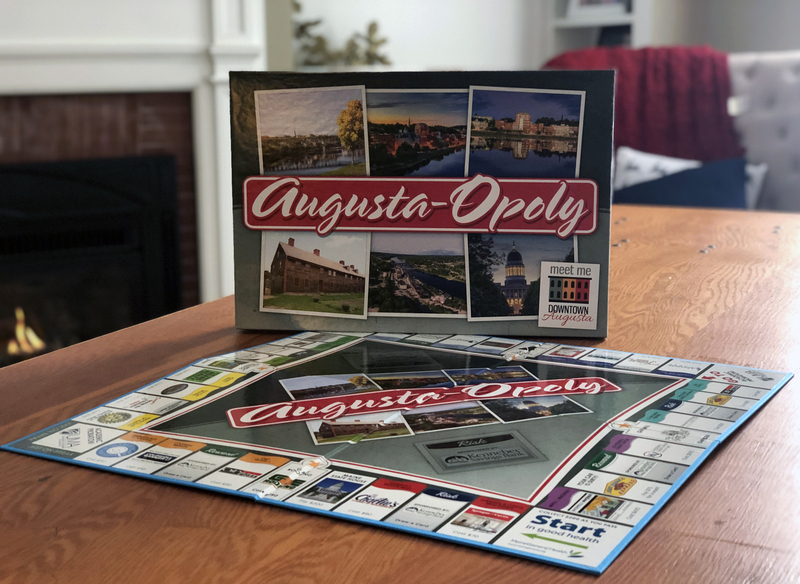 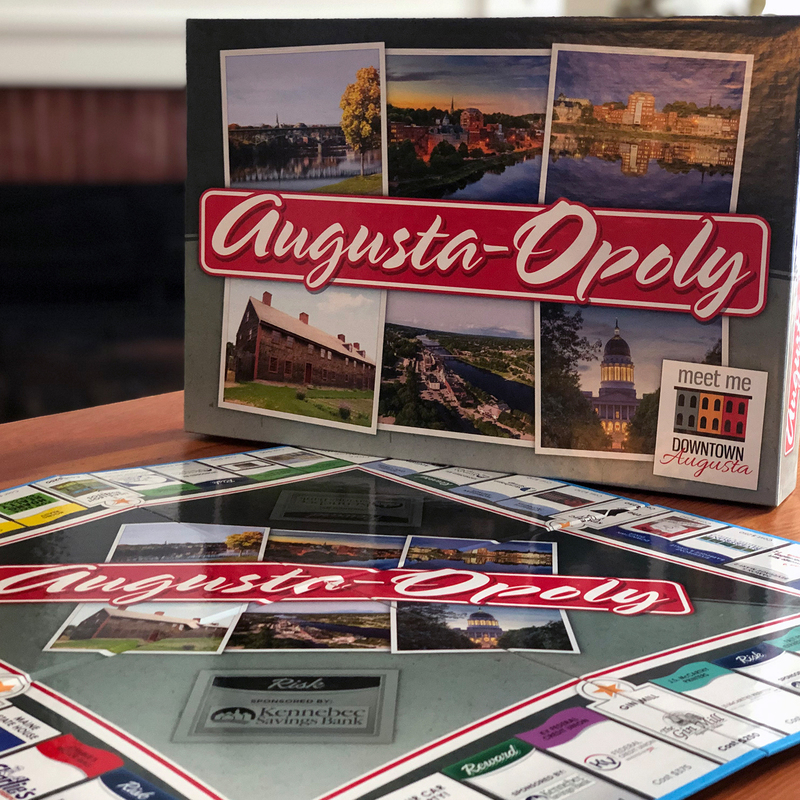 This Augusta-Opoly board game will be in your family for generations and help you remember a key time in Augusta’s history, as our downtown goes through a major revitalization. 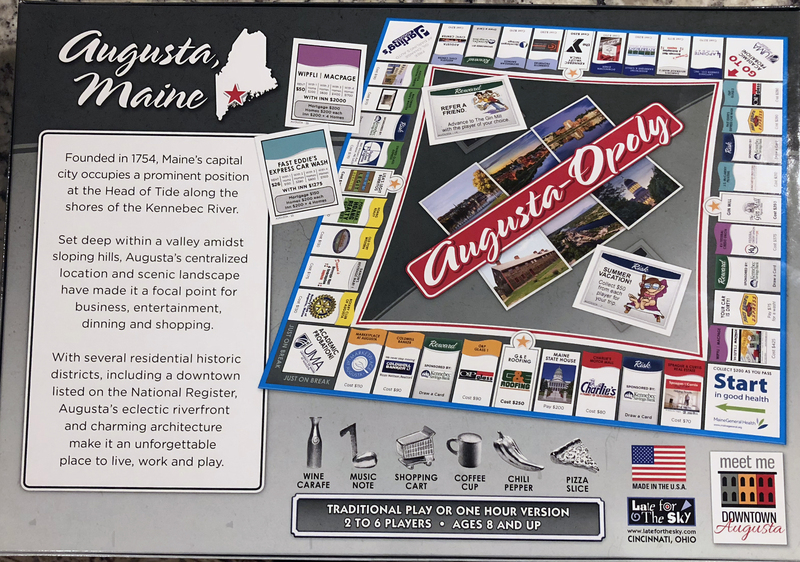 Founded in 1754, Maine’s capital city occupies a prominent position at the Head of Tide along the shores of the Kennebec River. 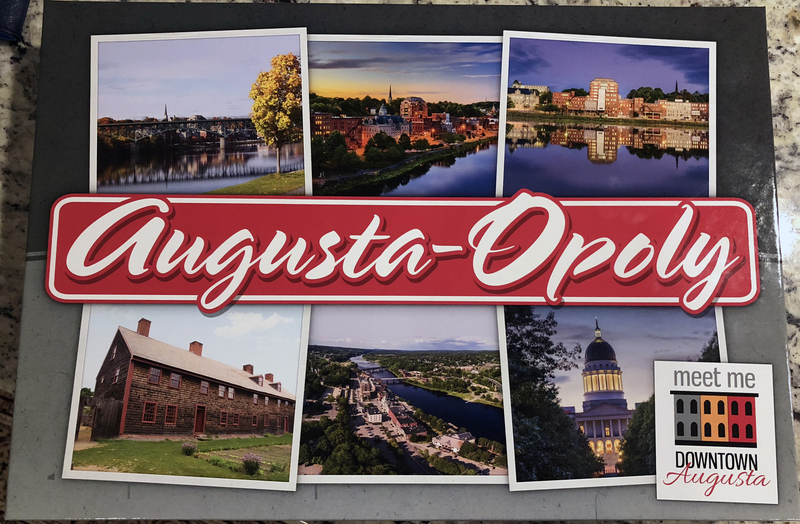 Set deep within a valley amidst slopping hills, Augusta’s centralized location and scenic landscape have made it a focal point for business, entertainment, dining and shopping. 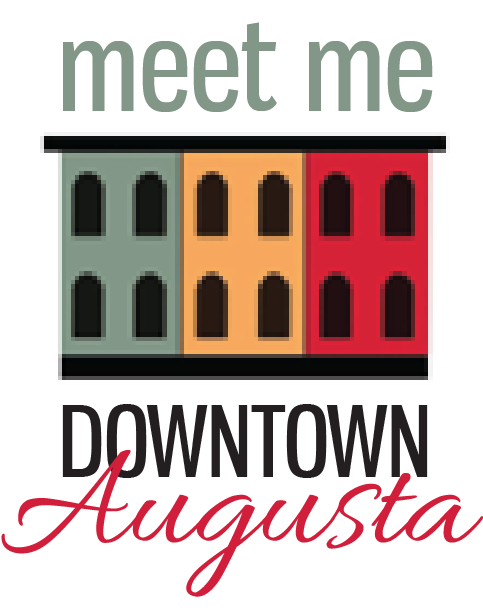 With several residential historic districts, including a downtown listed on the National Register, Augusta’s eclectic riverfront and charming architecture make it an unforgettable place to live, work and play. All proceeds from the sale of this board game go directly to the Augusta Downtown Alliance and help promote the revitalization of Augusta’s Downtown as well as bring new businesses and opportunities to our community.